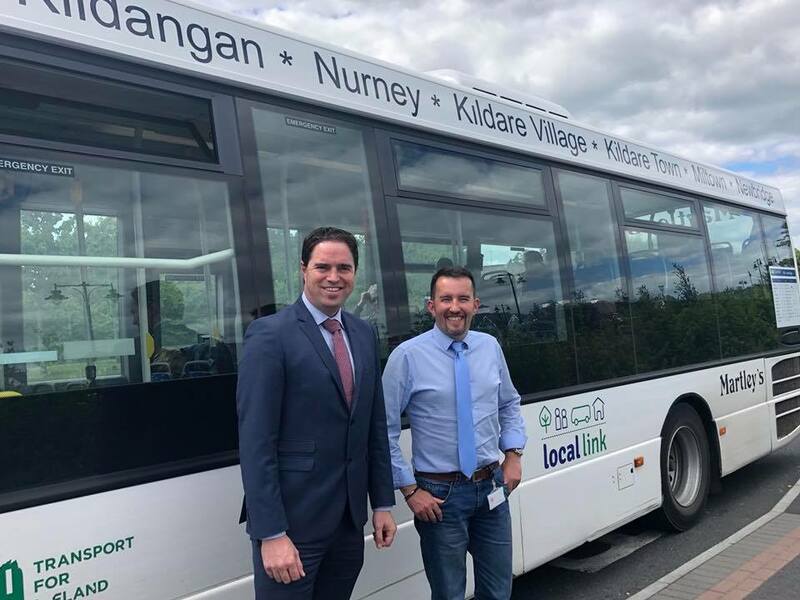 Chairman of the Fine Gael Parliamentary Party, Martin Heydon TD, has welcomed the planned extension of the pilot local link evening rural bus service. “When I first made the proposal last Autumn on behalf of the Fine Gael Parliamentary Party, to Transport Minister Shane Ross, for the extension of evening rural bus services around the country, I wanted to encourage increased connectivity in our rural areas. “We all know the importance of tackling rural isolation and a big part of this is ensuring that people can get around their area, be it to local events, the GAA club, shopping centres, restaurants, pubs and visiting friends and relatives. “In my own area the services takes passengers between several south Kildare towns and villages every Thursday, Friday and Saturday evening until the end of the year. “Originally, it was intended that the pilot would end on the 31st of December 2018 after which the National Transport Authority would review the results of it. It has been confirmed to me that the NTA will now conduct a further review of the performance of these services in March 2019 after which a decision will be taken regarding future funding for these services.